In addition to our black bumper plates, we now have our new Contrast Bumper Plates. The contrast lettering make it easier to know, at a glance, what weight you have on the bar. We have three affordable bar and contrast bumper plate packages to meet the budget and needs of any level CrossFitter! Have questions or want to change it up a bit? Call us at 512-201-4404 and we will get it shipped to you within 24 hours! Full year warranty on ALL plates and bar with FREE returns. Our Fringe Sport Weightlifting Bars are 216,000 PSI and have one of the best feels on the market. 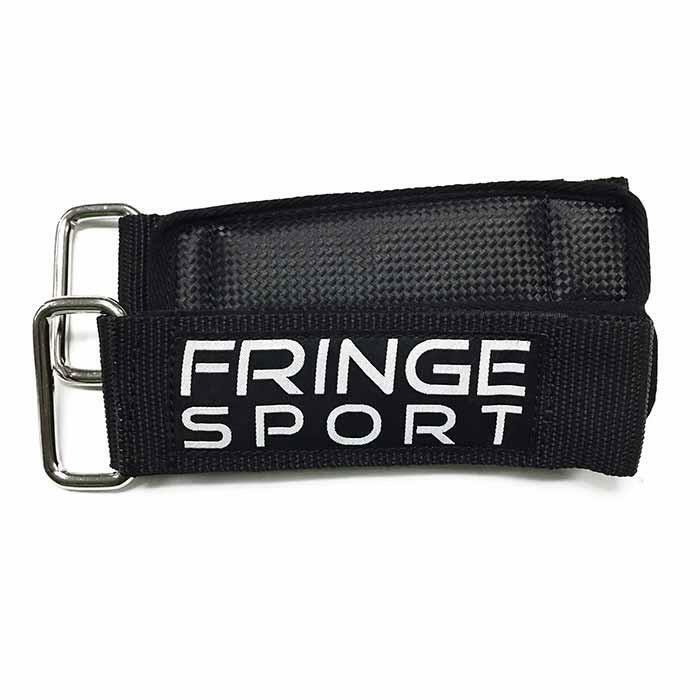 Fringe Sport Contrast Bumpers are extremely durable and will last for years in a garage or affiliate. Bottom line: These bumpers and plates are an unbeatable combination. Completely customizable! Shoot us an email or phone call to get a different combination! Olympic Weightlifting (Bushing): The Fringe Sport Weightlifting Barbell is the premiere training barbell for aspiring Olympians. 10/15/25/35/45 - 260lbs: This 260 pound full set of Fringe Sport bumper plates is a must for the well-stocked home gym. This set comes with 5 pairs of contrast full rubber bumper plates- one set each of 10 pound, 15 pound, 25 pound, 35 pound, and 45 pound plates.. Fringe Sport Contrast Bumper Plate Set: Sporting color coded raised lettering against a clean black background and with all the physical components of black bumper plates, are our contrast bumpers. They feature the perfect chemical consistency of rubber as well as a rock solid bond attaching the center O-Ring to the plate itself. Bumper Plate Widths: 45's - 2.9", 35's - 2.35", 25's - 1.87", 10's - 1.05"